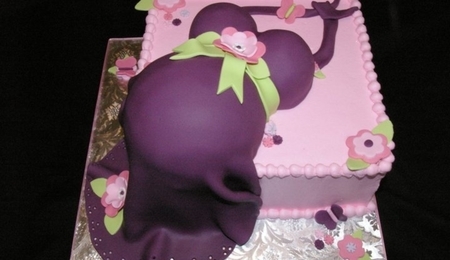 Ivory fondant. 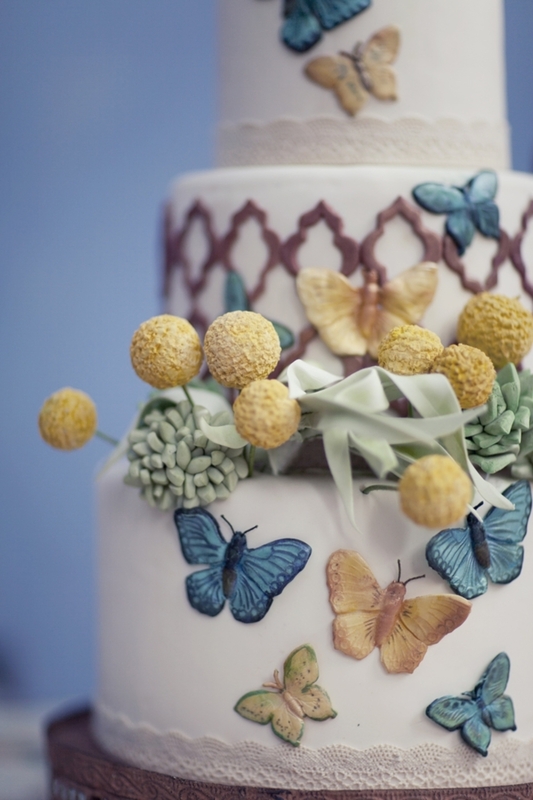 Hand-made fondant billy balls, butterflies, succulents. Custom cutters used for design on middle tier. Photo by Branco Prata.